While you will always find Red Dragons at our Stammtisch on match days, some of us will also venture further afield in following FC Bayern! The highlight for many members is getting hold of that sought-after match ticket – and the chance to watch the team live in some of the greatest stadiums in Europe. The Red Dragons would spread their wings for the first time in venturing up to the Etihad Stadium for the group stage tie against Manchester City, and then a second much shorter journey was made to the Emirates Stadium with Arsenal providing the opposition in the second round. 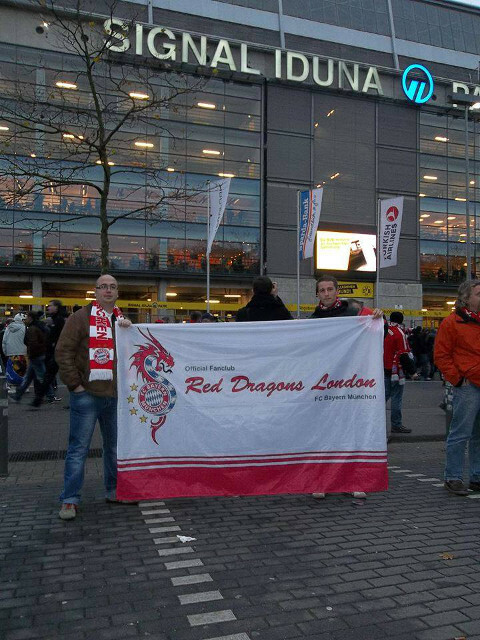 With our core group of members growing by the week, the largest flock of dragons so far travelled up to Old Trafford for the quarter-final encounter with Manchester United. 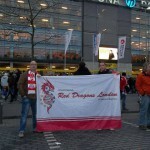 There we met a number of old friends and make plenty of new ones… All united in their love of FC Bayern! 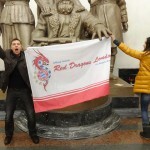 The 2014/15 season saw the Red Dragons London finally stretch their wings and fly further afield, with their first overseas trip to Italy for the Champions’ League group game against Serie A side AS Roma. 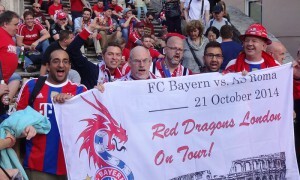 With close to a dozen members the fan club carried their scarves and flags to the eternal city, where they were among five thousand travelling Bayern fans to see Die Roten achieve their biggest away win in European competition… 7-1! 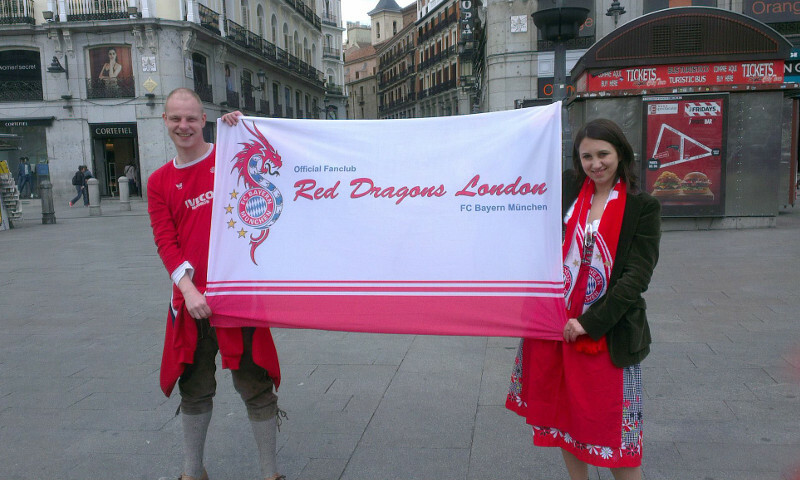 The Red Dragons London continues to grow, and as FC Bayern continue on their quest to win the Champions’ League again there will surely be more opportunities to add to our list of destinations! This page will continually be updated, so keep coming back! 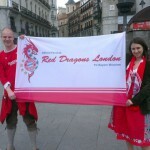 As well as planned fan club excursions and events, the Red Dragons London flag is also proudly carried by individual fan club members. 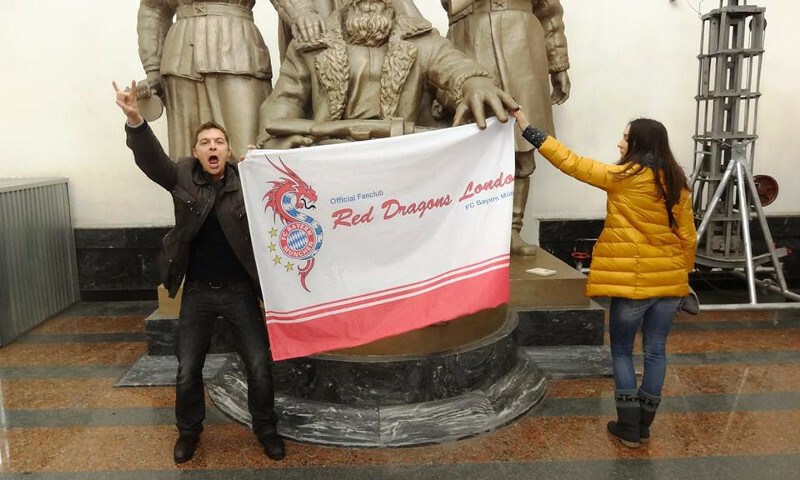 From Madrid to Moscow, we are right there with FC Bayern!